Even though it's technically incorrect to call this a Supermini because the displacement remains at 85cc, this Kawasaki KX85 doesn't fall short in the race-ready department. 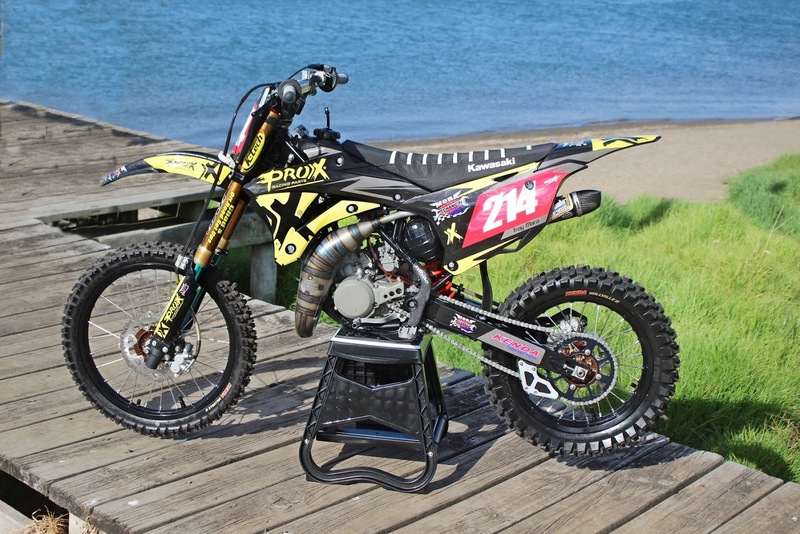 Here, we take in depth look at the work done and parts used to build this young racer's dream machine. Scroll to the bottom for a photo gallery as well! Traveling throughout the United States, there’s a good chance you’d run into a lot of motocross fans. Southern California is often credited with being the longest standing motocross mecca, and the place where the sport has seen a great deal of its evolvement. However, hop on a 15-hour flight to Australia, and you’ll land on a continent some of the biggest motocross fans in the world call home. 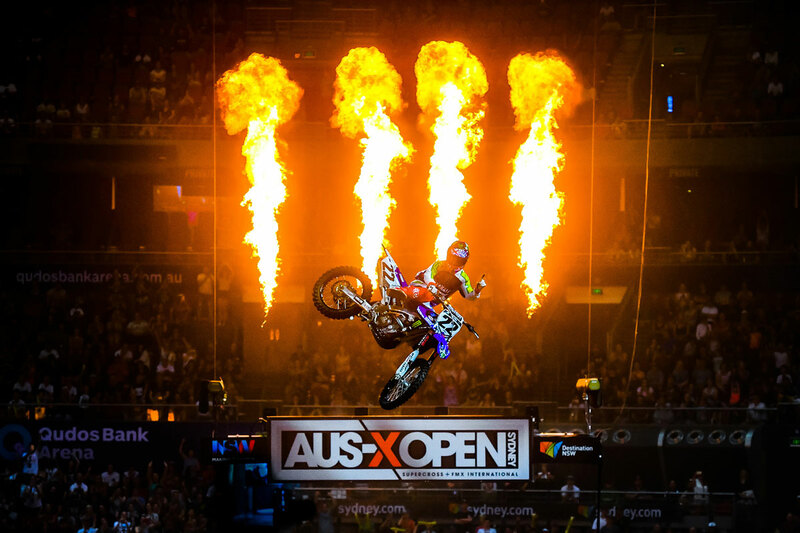 Australia holds many motorcycle events today, including the AUS-X Open Supercross race. Supercross champ Chad Reed got his motocross roots in Australia. Motorcycle racing in Australia has a long history dating back to the early 1920s. But today, it has taken on many forms, including speedway, motocross, supercross, rallies, and road racing, to name a few. Pull up a map of Australia, zoom in on the Southeast corner, and you’ll find Victoria. 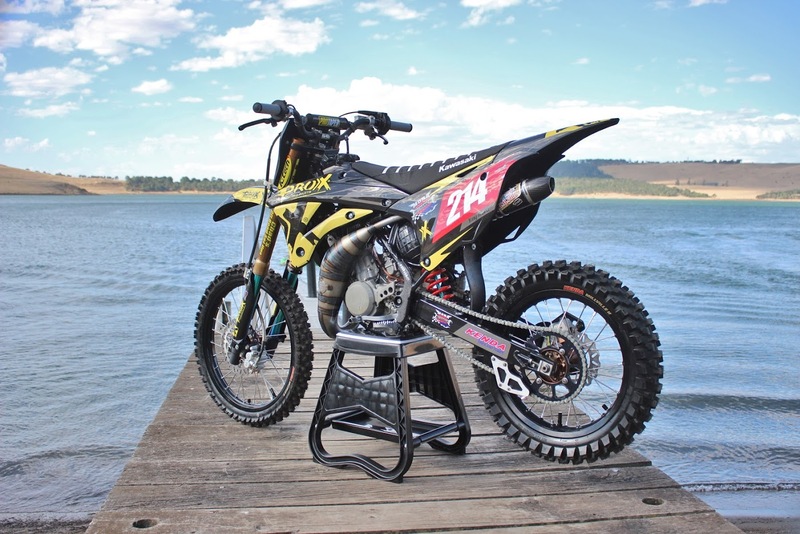 Victoria, Australia is host to multiple MX championships, Supermoto championships, road race championships, and just good ol’ fun on a dirt bike. 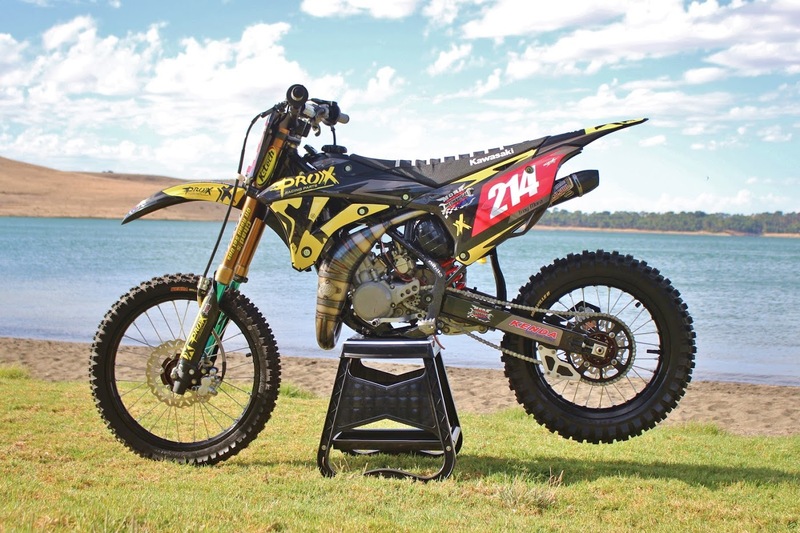 Mora Mechanical Racing is a parts and accessories shop, race team coordinator, and great partner of ProX Racing Parts based out of Victoria, Aus. 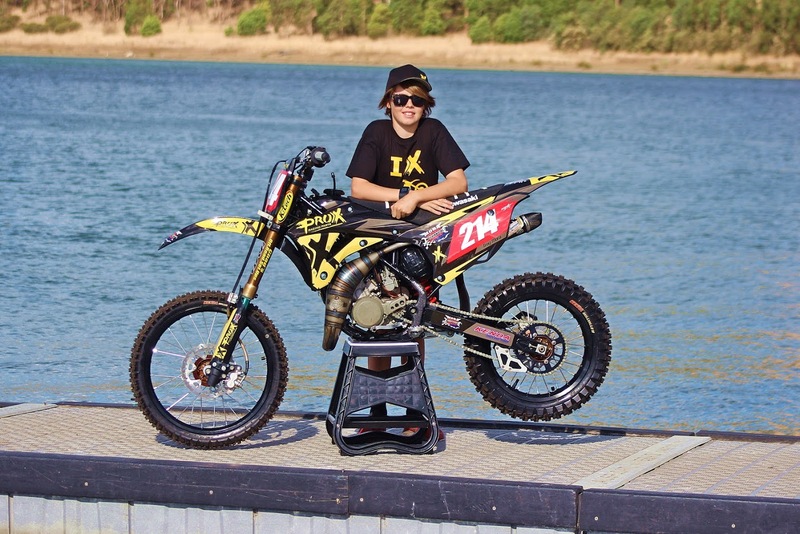 Steve Mora, Owner, has a true passion for motocross, which he has passed on to and shares with his son, Troy Mora. Team Mora Mechanical Racing hosts their own racers, including a range of young racers on minis to vets on full-size bikes. 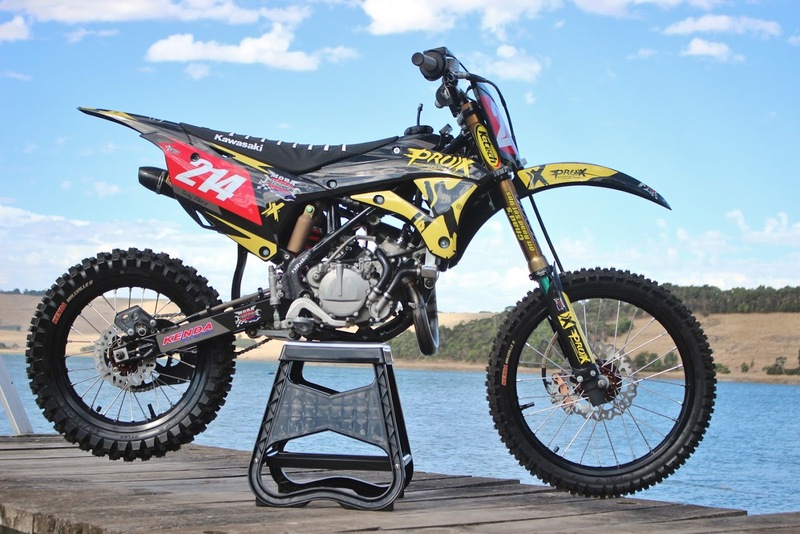 They compete in a multitude of motocross events, including Victoria’s Junior and Senior motocross championships. Troy Mora and his KX85 race machine. Walk up to the Mora Mechanical Racing tent at an event, and one of the first things you’ll notice is the attention to detail and quality with their machines. We got the chance to take an in-depth look at Troy Mora’s KX85, a dream bike for just about any young racer. Below, we take an in-depth look at what went in to this ultimate KX85 build. 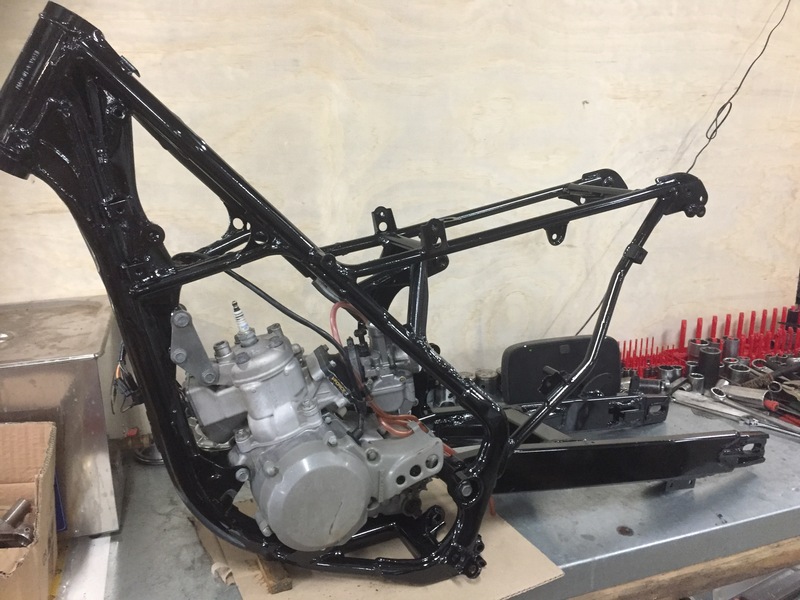 For starters, the Kawasaki mini was torn down completely, and the frame and swingarm were sent out for fresh, gloss-black powder coating. In the meantime, the engine was torn down for performance modifications by DM Probikes. You’d be surprised what some cylinder and head modifications can do to wake these bikes up. The gloss-black powder coat gives a nice, factory look to the KX85, and complements the freshly modded and rebuilt engine nicely. The bottom-end of the motor was rebuilt with a ProX connecting rod and crank bearings, and the rest of the engine was buttoned up with a fresh piston and a complete ProX gasket kit. ProX connecting rods are forged by OE manufacturers from Japanese steel, and, paired with OE quality bearings, they make a great pair for a reliable and well-performing bottom-end. The crank was rebuilt with a new ProX connecting rod, as well as ProX bearings, seals, and gaskets. 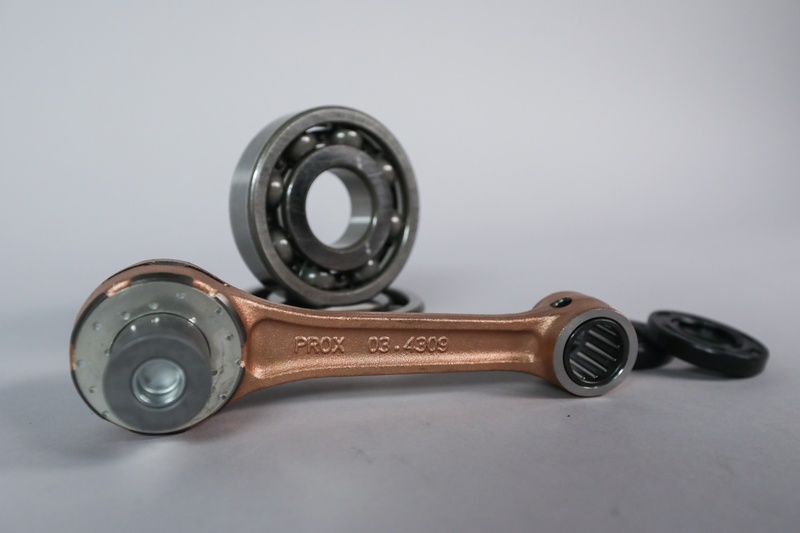 Click here to find out more about ProX connecting rods. The modified engine was complemented with a ProX clutch, including a forged, hard-anodized clutch basket and OE-quality plates, fibers and springs. The engine is fed clean air through a ProX, dual-stage air filter, and exhales through a beautiful Scalvini cone pipe and carbon fiber silencer. To keep the beast cool, Psychic Alloy radiators were chosen. 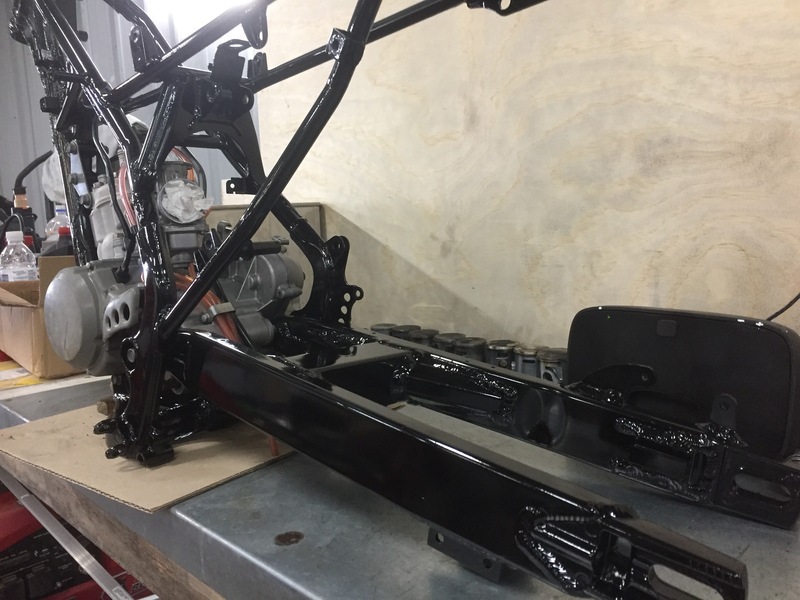 The freshly coated frame was fitted with new ProX steering bearings, linkage bearings, and swingarm bearings before assembly continued. 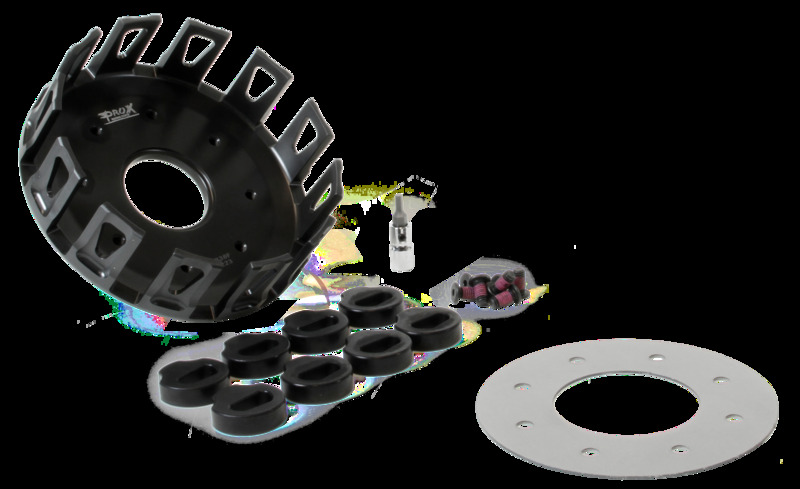 ProX clutch baskets are forged and hard-anodized for strength and durability. 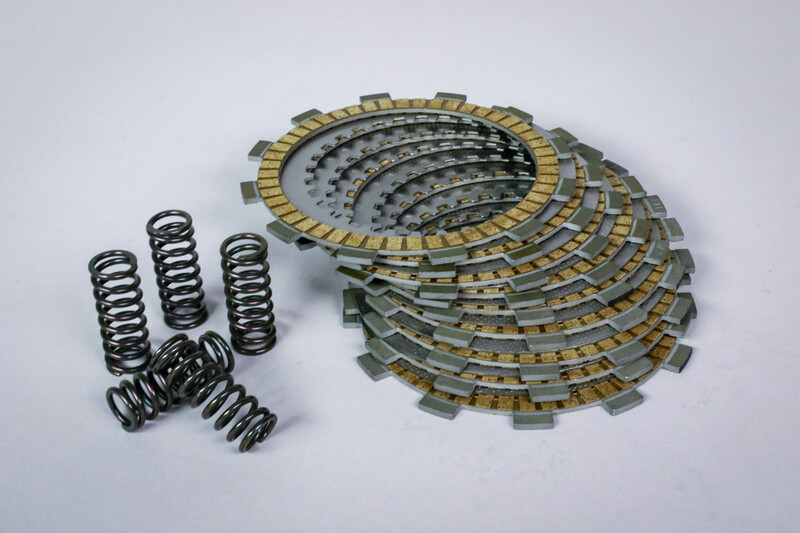 ProX clutch pack kits and bearing kits are made by OE manufacturers and provide a budget-friendly alternative. 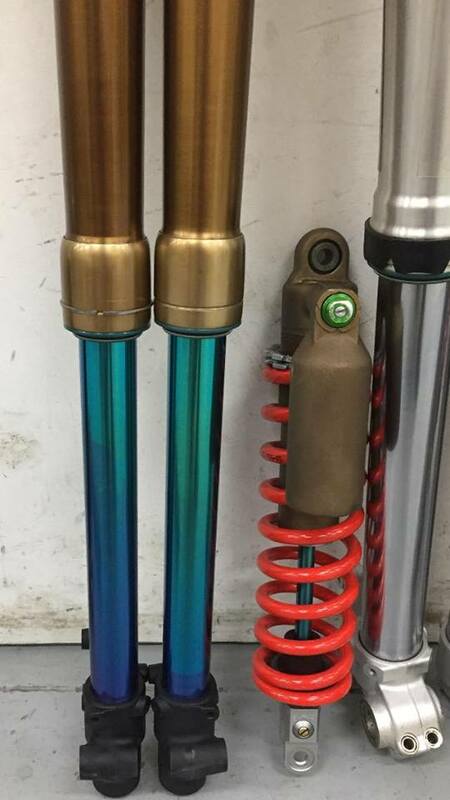 The suspension got some factory treatment as well. 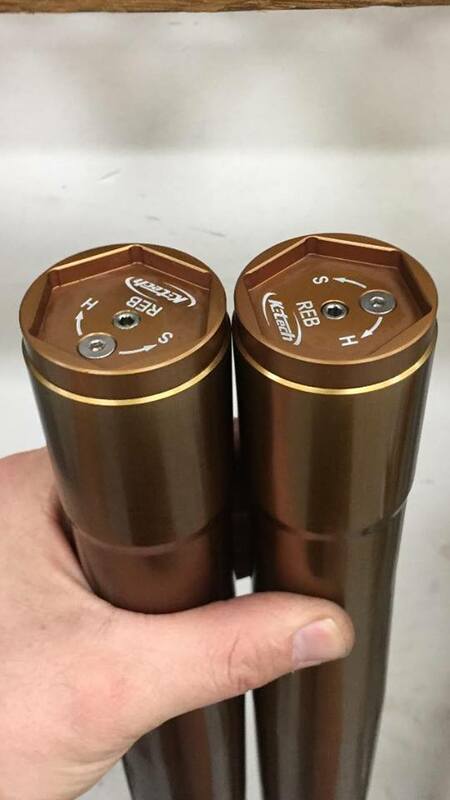 The outer fork tubes and the shock body were sent off for Kashima coating, while the lower fork tubes and shock shaft received TiNitride coating. Rounding off the suspension treatment are a set of black anodized fork lugs. The outside of the suspension isn’t the only thing that got attention. Chad’s Offroad Setups installed a K-Tech fork cartridge kit, as well as the rest of their modifications and valving for the forks and shock. This combination creates the true factory, A-kit look, along with the some immediately noticeable damping performance gains. Kashima coated outer tubes and shock body, TiNitride coated lower tubes and shock shaft, and a K-Tech catridge kit create the ultimate suspension combo for this KX85. 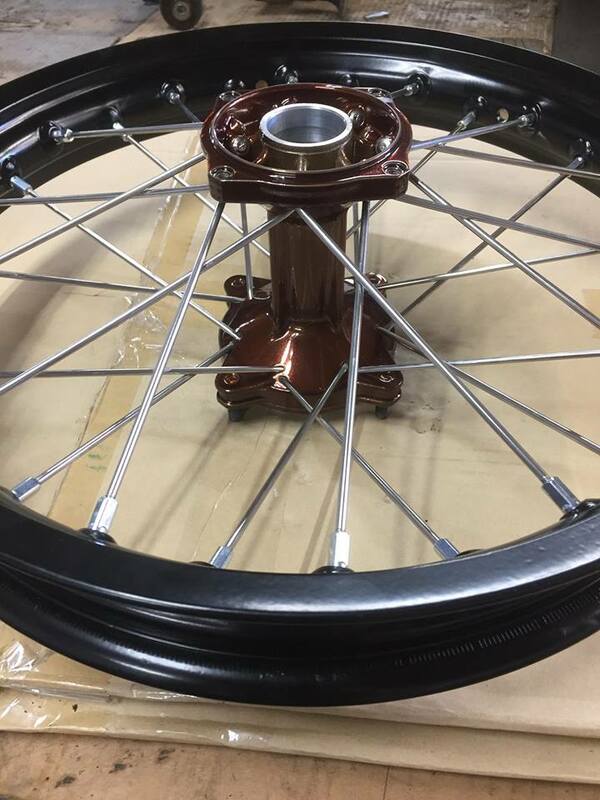 To get the bike rolling, the rims and hubs were powder coated, fitted with a new set of spokes and wrapped in Kenda rubber. The hubs also saw new ProX wheel bearings, which are something often neglected, but can hinder performance without the rider realizing it. Details like re-coated hubs and rims make a difference on the bike. ProX wheel bearings keep 'em rolling smooth. 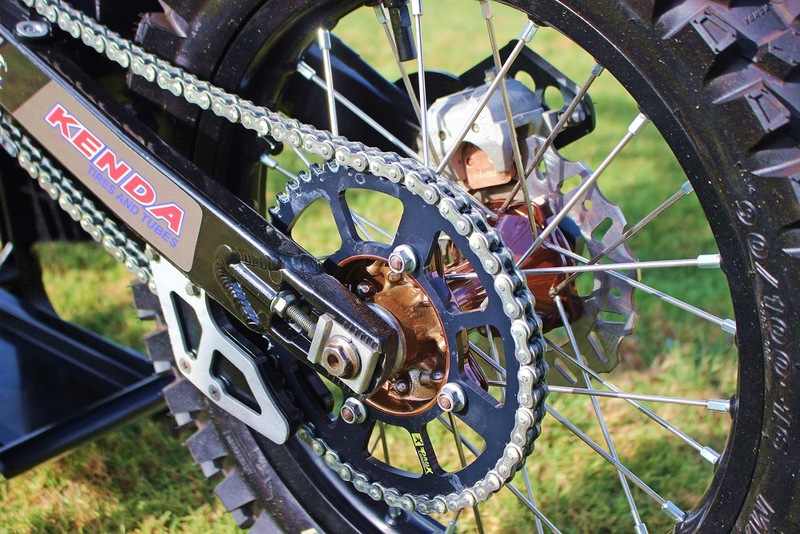 Getting power to the rear wheel is a set of ProX sprockets wrapped in a ProX chain, along with an RTech chain guide. Capping off the wheel package, a set of ProX rotors and brake pads were installed. 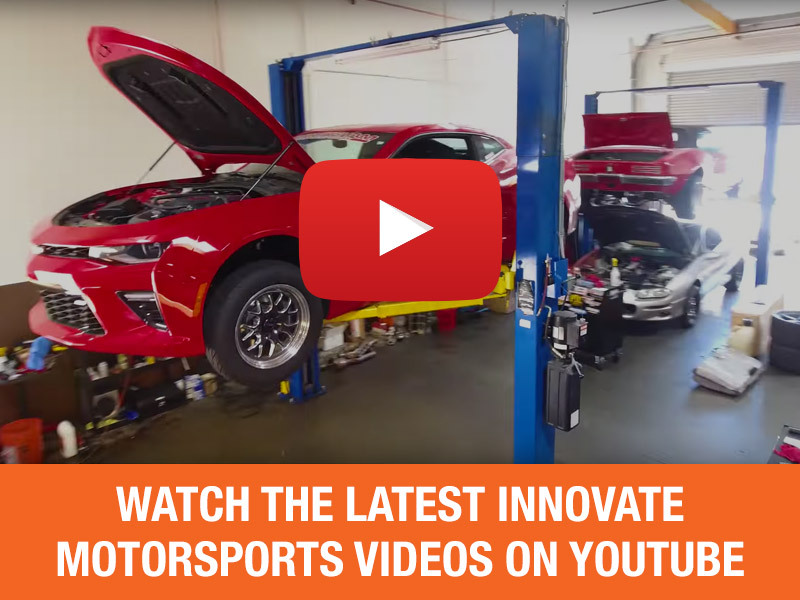 Brake pads are another item that can tend to get overlooked, and it’s important to find a product with a balance of longevity and performance, such as with ProX sintered brake pads. ProX chain and sprockets keep the power coming, and ProX brake rotors and pads, well, stop the power from coming. Read about why brake maintenance is more important than you think here! Click here for all the details on the different chains ProX has to offer. Up in the cockpit, the rider controls feature Pro Taper bars, RHK levers, and ProX clutch and throttle cables. When it comes to aesthetics, the KX85 got a set of RTech black plastics with custom Kickstart Ind. ProX graphics. Last, but not least, a Top Line seat cover keeps the rider in the correct position, and the bike looking good. So, there you have it, factory-level supermini without actually being a supermini. This is an incredibly impressive build from all perspectives, including performance, reliability, and looks. ProX is proud have a great partner like Mora Mechanical Racing in Australia. Best of luck to Troy Mora and the whole team! 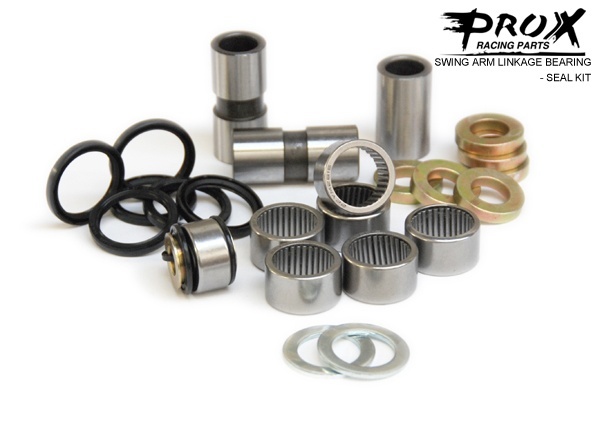 Check out all the ProX parts available for your machine here! Visit Mora Mechanical Racing on Facebook. Thank you to Mora Mechanical Racing for providing all the photos!